I am thoroughly convinced that the biblical description of the charismatic gifts is incompatible with the charismatic gifts practiced in Pentecostal and Charismatic churches today. For example, Acts 2 is explicit in describing the gift of tongues as the ability to speak previously unlearned foreign languages. The rest of the New Testament affirms this same understanding (as does the testimony of the church fathers). But that is the very opposite of the nonsensical gibberish that characterizes modern glossolalia. So I would challenge them to explain why they hold on to a modern practice that, in reality, has no biblical precedent—especially when that modern practice is the gateway to all sorts of theological error. I WOULD CHALLENGE JOHN MACARTHUR, TO EXPLAIN WHY HE IS FIGHTING GOD'S WORK. WHERE IS THE SPIRIT OF DESCERMENT IN HIM.RESPECTABLE FATHERS OF FAITH WHO HAVE GONE TO GLORY SPOKE IN TONGUES, KENETH HAGIN, ORAL ROBERTS, R.W.SCHAMBACK AND MANY MORE. WHY DOES HE CHOOSE TO COMPARE THE GIFT TO BABEL. PAUL SAYS I SPEAK IN TONGUES MORE THAN ANY OF YOU. HE WHO SPEAKES IN TONGUES SPEAKS MYSTERIES TO GOD, AND ALSO EDIFIES HIMSELF.TONGUES ARE FOR SPIRITUAL GROWTH IN A BELIEVER WHILE PROPHESIES ARE FOR EDIFYING ONE ANOTHER. BOTH ARE IMPORTANT. NON OF WHAT THE HOLY SPIRIT DOES IS INFERIOR, NOR IS ANY GIFT FROM THE FATHER TO BE CONSIDERED INFERIOR.ALL HE DOES IS JUST, TRUE, AND PERFECT. THE FATHER DOES NOT WASTE RESOURCES.WHO ARE WE TO EXPLAIN GOD?.GOD DID NOT SAY THEY WILL SPEAK IN TONGUES WHICH PEOPLE UNDERSTAND FROM OTHER NATIONS ONLY. WE MUST BE CAREFUL NOT TO PUT GOD IN A BOX. THE BIBLE STATES THAT IF ALL THE WORKS JESUS DID WERE RECORDED THERE WOULDNT BE ENOUGH BOOKS TO CONTAIN THEM.TONGUES ARE A VERY IMPORTANT GIFT FROM THE HOLY SPIRIT. THEY EMPOWER THE BELIEVER. I GREW UP IN A CHURCH WHERE THEY REJECTED SPEAKING IN TONGUES, AND THE PEOPLE THERE WERE WEAK TOWARDS SINS. THEY CONFESSED SALVATION OR THE GIFT OF SALVATION BUT SIN WAS RAMPART.THEY SEEMED TO HAVE NO POWER TO RESIST TEMPTATION. ITS BECAUSE WHEN YOU SPEAK IN TONGUES YOU EDIFY YOURSELF AND THERFORE YOU BECOME STRONG IN THE SPIRIT TO FIGHT SPIRITUAL BATTLES.NO FLESH CAN RESIST TOUGH SPIRITUAL BATTLES, ITS ONLY THROUGH THE SPIRIT. YOU GET EQUIPPED,WHEN YOU SPEAK IN TONGUES. I BELIEVE THATS WHY ONLY GOD UNDERSTANDS THEM BECAUSE AT TIMES YOU WILL BE TACKING SERIOUS ISSUES IN THE SPIRIT YOU WOULDNT HAVE WORDS FOR IN YOUR NATURAL LANGUAGE, OR THE STRENGHT TO IF YOU KNEW WHAT YOU WERE DOING.IF YOU ARE FIGHTING A SPIRIT OF LUST IN A SPOUSE, HOW CAN YOU EVER PRAY FOR THEM EFFECTIVELY?.AT TIMES WHEN YOU SPEAK IN TONGUES YOU ARE FIGHTING DISEASES IN YOUR LOVED ONES THAT WOULD FAIL YOU, IF YOU KNEW WHAT YOU WERE SAYING. TONGUES ARE A GIFT OF WISDOM FROM GOD.WE SHOULD BE THANKFUL FOR THEM.THATS WHY PAUL SAYS I WISH YOU ALL SPOKE IN TONGUES.I STRONGLY RECOMEND EVERY CHILD OF GOD TO SEEK THE GIFT.YOUR LIFE WILL CHANGE DRAMATICALLY WHEN YOU SPEAK IN TONGUES. GOD BLESS YOU.WISDOM IS THE PRINCIPAL THING, IN ALL YOUR GETTING GET UNDERSTANDING. 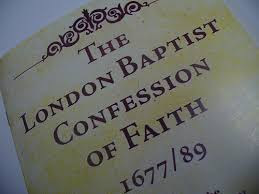 Nomsa, let me very gently inform you that "KENETH HAGIN, and ORAL ROBERTS" are most definately not "Respectable fathers of faith", they are heretics of the worst kind, fleecing the flock and preaching poisonous doctrine of devils, please reconsider any teaching you have heard from these men. Lee DeBritto I stronglyb agree with macarthur in his reviews and you should not fight against another christian but show love galations 5,22-23 love joy peace kindness self control all of that is good you should produce good fruit in wich macarthur is simply stateing not hateing people open your eyes to what is happeneing division the devil hears what we say even when speaking in tongues cause we talk about it later on dnt get let down when you know that speaking in tongues is a gift and you can not search for a gift that is given godbless all take the blind folds of satan he rules over the external world. m really stuck on this issue of speaking in tounges,looking at Acts 2 i would totally agree with John Mac,caz it says they could hear them speak in thier own languages,and now wen pple are speaking in tounges you can not even hear what their saying,at least at some degree someone should understand if what is written in Acts correct,dont get me wrong m not saying its not correct m trying to put my point across.to be honest some of the tounges that i hear makes go whaaaaaaaaaaaaaaaaaat.its like proper jibrish.. I must say that I am deeply concerned with J.M 's view on tongues. I actually do speak in tongues and I'm neither a charismatic or pentecostal. I actually go to a Baptist church where tongues is not the norm. I never asked for the gift or sought it out. I received the gift the moment I surrendered my heart to the Lord. I was on my knees crying before the Lord-repenting for my sins and asking Jesus to come and fill my heart and make me a new person like he did with Paul and like he did with Mary Magdalene, etcc.. I was only a 13 year old girl and suddenly I began speaking in another language during my heartfelt cries to God. I was never raised in speaking in tongues, so it wasn't something I was seeking. A tremendous peace filled my spirit as I poured out my heart before the Lord. I did not know what I was saying at that moment, but I knew the Holy Spirit had filled me with a gift and was interceding for me what I couldn't express in my own words. Ever since then, I use this gift daily just as I use my other language daily to pray...I use them both. In churc service, I have spoke in tongues in the proper order with interpretation, and I have also been the interpreter or both. It doesn't happen every service, but it does happen. I fear that because John has not recevied that gift and refuses to even accept the Spirit's gift, he bashes and blasphemes The Holy Spirit by rejecting this beautiful wonderful gift that God not only uses to edify the believer and growing them spiritually, but also to edify the church. I'm sorry John, but you are wrong on this one. Nomsa go and read your bible and not your palm. My only question would be, how does he explain 1 corinthians 14:2? It says with the tongues of men "AND ANGELS." I am not here to argue at all, but reading and studying my word, shows me that there were tongues for the body, and tongues for the edification of self in which it would not be understood by man but rather speak mysteries in the spirit like paul states in 1 Corinthians 14:2 states. John Das my friend, as Pastor John Macarthur explained the burden of proof lies with you and people like you that think they speak a "heavenly language," a language that until the last couple of centuries was unknown of since the time of the Apostles, except in heretical groups. 1Timothy 2:12 And I do not permit a woman to teach or to have authority over a man, but to be in silence. I grew up a pentecostal,i used to listen to T.D jakes, Benny Hinn. I do not listen to thise so called men of God anymore as I believe that they are false prophets. I also no longer describe myself as a pentecostal. I am a follower of chrit, I am a christian, I seek God daily and ask for the holy spirit to be my teacher. The other day, after I had finisihed praying, I decided to look up being 'slain' in the spirit. After much research I came to realise that being slain the spirit was not biblical! There was no recording of this in the bible. I was very distressed after my findings. What about casting out demons? Does John Macarthur also dispute this? What about healing. Does he disputr this? That's correct, Benny Hinn and T D Jakes are false teachers/prophets. Why would it distress you to find out the truth from God's Word regarding the nonsense of being slain in the spirit ? Just because we do not have an exact date when tongues would cease, does not mean that they have/are continuing, I believe that certain gifts ended when the Bible was complete. I do not know what John Macarthur teaches about casting out Demons, maybe you should listen to his sermons on it ? I believe he would say that God heals through prayer, but no one person has the gift of healing. Paul is talking about the time when we shall see the Lord face to face, in eternity one day. Then all the gifts will have passed away because the perfect, His presence, has come. Paul says that where there are tongues, they will be stilled and where there is knowledge, it will pass away. Surely, if this referred to our current time, not just tongues would have ceased, but knowledge also. This is not the case. The Lord has not ceased to work in His body through the gifts and also through knowledge until we will see Him face to face! He is the same yesterday, today and forever! 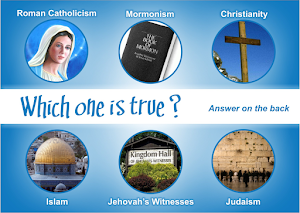 Let me ask you this, where is the evidence apart from heretical groups is there for the practice of tongue speaking throughout history amongst the people of God ? I am just as young as 5 years old when revival burst at my home town, but I believe that many think that the emotion expression, the unspeakable words, came out with noise or some repetitive words, sounds like jammed scratch cd...they assumed it as a gift of the Holy Spirit?!! I've seen that, but emotional burst only happened once or a week among those first encounter believers. They were still babes, learning to pray, the heart filled with prayer but the mouth can't express it properly. Now, that is not speaking in tounges, but speaking in spirit. Do you want to be babes all the way, then you don't grow and those emotional cry will end up some kind of ritual, and when you fall in love with that, you are most probably not worshiping God according to Biblical teachings, since you never grow, never get up and pray like an adult...which every Christians are called for. Simply, that is what happened to our congregation. People move on and never come back to that point. They started learn the Bible, being obedience to God and producing spiritual fruits, and continued evangelizing, preaching and teaching the truth. The next generation still have the same emotional touch but has no problem of praying because they have learned how to pray since they were at Sunday's school. We all know that not all kids are born again, but when they finally got it, they already know how to pray. I certainly agree with J.M. Precisely, and that is how it supposed to be in the Act. Peter and the rest knew that they cannot speak other languages unless the Holy Spirit made them able to. The Bible clearly said that they did not speak in the language they got during Pentecostal in their meetings and ministry. That phenomena happened not for the disciples, but for those around them because those languages clearly belongs to the surrounding communities. They then must got surprised, and make them think that only true God could give them that ability. For Paul, he may considered been gifted with many languages. We all know that he ministered to many nations. Paul knew that the problem in Corinthians were related to their background and surroundings. Since feelings is the one that most churches trying to connect with, they ignore truth. Mostly wanted to experience God...but the truth is they ended experiencing gods. That leads them into mysticism. We know that the Bible never wanted any true worshiper get involve with syncritism. God hates this type of worship just as He hated it in Exodus 32. The roots of this is Montanism...the classic example of true synctritism in the early church history. Would you trust a man who does not even believe that there is significance in the blood of Jesus? That His blood is unable to save or cover our sins. Who pays no attention to Hebrews 9 which clearly lays it out before man the significance of this noble sacrifice of a perfect lamb for us. Who also says there is no power in His blood. So why be surprised that he denies tongues and the working of the Holy Spirit? Tongues are a sign that a believer receives the Holy Spirit as in Acts 2. The purpose is a private prayer language to build yourself up with. 1 Cor 14:2. You do not know what your saying and neither does anyone else except God. This is different of course as to when the gift of tongues is operated in the church, and without an interpreter the person should be silent. But the believer can speak in tongues at anytime. In Acts 2 men were praising(praying) God in different languages but it was not understandable or intelligent because it was as if they were drunk. They could hear their mother language but there was confusion. Peter explained to them what was happening intelligently in the language they all could understand from his own voice and not in "tongues". However it does not state that the gift was for learning a different language to evangelize nor are there any accounts of this mentioned. But there are occurrences of preaching the gospel, of baptisms, of casting out devils, of speaking with new tongues, of taking up serpents and not being harmed and of healing the sick. Do not be deceived tongues are real and just as relevant today as they were at pentecost. Unless of course He has returned and not told anyone? 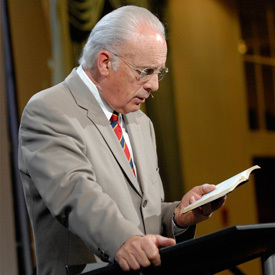 John Macarthur "does not even believe that there is significance in the blood of Jesus? That His blood is unable to save or cover our sins." Is this what you are saying ??? Be careful of breaking the 9th Commandment here. Clearly states in the video, " There is nothing in the fluid in his body that in anyway in itself can save us." I think it is easy to dismiss tongues as mere emotional hype. But let all things be done in decency and in order(1 Cor 14). Because things have been done out of selfish ambition for the purposes of manipulative wolves that prey on sheep. What about Marjoe Gortner, does his deception dismiss Christ as our savior or the speaking in tongues as valid? without an interpeter to tell those listening what you are saying, tongues is very wrong evil and can cause people to worship that over the world of God you claim to be speaking, remember evil spirits can imitate speaking in tongues, as they know languages, so you "MUST" have an interpreter to prove you are really praying God, otherwise it is like a sideshow, no one knowing what you are saying but you and takes away from what ever preacher is preaching or praying, the same with people falling out after being touched, which can be done with evil spirits and a clever charismatic false preacher. So if you have no interpeter, do not even attempt to speak in tongues in a large group of people because it is confusion to the people listening and we know who the author of that is, Gods tongues is to make things clear to be able to preach to those of different languages not a side show.